Join us on Monday 13th March to discuss why we need to do all we can to stop the Trident replacement. South Cheshire and North Staffordshire Campaign for Nuclear Disarmament will be holding a public meeting, at the North Staffs Medical Institute, with CND general secretary Kate Hudson as the speaker. In the age of austerity we must not only oppose Trident on moral and ethical grounds but also due to the huge financial costs involved. The replacement could end up costing us over £205bn of public money, money which should be instead spent on our underfunded public services. Please join us for what looks set to be a very informative evening. Ministers are planning to subsidise nuclear power through electricity bills, despite their promises not to, a secret document seen by the Guardian reveals. The leaked document clearly lays out plans to use “contracts for difference” for nuclear energy, which would allow nuclear operators to reap higher prices for their energy than fossil fuel power stations. But the plans are likely to further inflame rows over energy policy and cause a political furore for the Liberal Democrats, who fought the general election firmly opposing an expansion of nuclear power. The issue is a key one among many Lib Dem supporters, and has acquired even greater resonance since the Fukushima disaster and the withdrawal from nuclear of countries such as Germany and Italy. Green campaigners believe the Lib Dems have been persuaded into allowing higher energy bills to flow into increased profits for nuclear companies by a sleight of hand, which allows ministers to disguise nuclear subsidies as support for “low-carbon power”. The Guardian has also seen a presentation made by Scottish & Southern Energy to MPs last month, saying the plans contain “hidden subsidies”, will be open to challenge on legal grounds, and could “mess up” funding for renewables. Green campaigners are threatening to bring a legal challenge against the plans when they are made public later this year. This is the clearest evidence yet of government plans to subsidise nuclear power through the back door, by classifying it alongside renewables as “low-carbon power”, despite repeated assurances that there would be no public subsidy. The government is already facing a crisis over its hopes for a fleet of new reactors to replace Britain’s current ageing stations. Earlier this week, French company GDF Suez warned it would need increased financial incentives, including a strengthened price on carbon dioxide, to go ahead with its building plans. This followed the shock cancellation by German companies E.ON and RWE npower, partners in the Horizon consortium, of their plans to build new plants at Wylfa, Wales and Oldbury, Gloucestershire. But the plans are likely to come under severe attack in the European parliament. The Guardian understands that the Greens in Europe are preparing to take legal action against the government, arguing that the plans amount to state aid for nuclear. Within the energy industry, the plans are also controversial. The Scottish & Southern Energy presentation firmly labels the government’s plans for nuclear as “subsidy”. In the presentation, MPs were told the government was bringing the changes in because of its need to “hide the subsidy” to avoid a furore. The government believes its plans do not amount to state aid or subsidy. “This is purely in the context of reforming the electricity market, which we have said clearly is needed to give investors long-term certainty that this will encourage new build of low-carbon energy infrastructure,” said the DECC official. A senior figure in the renewable energy industry told the Guardian that haggling over the state aid rules for nuclear would spell delays to the market reforms, and therefore create confusion for investors in the renewables industry, which could hurt the UK’s ability to meet renewable energy targets. The “feed-in tariffs” referred to in the leaked submission are not the same as the feed-in tariffs by which households can gain extra income by installing solar panels. Domestic feed-in tariffs, which were slashed last year in a manner that was ruled illegal in key respects by the courts, require energy utilities to pay those who generate solar power a fixed price, in excess of the normal electricity price. But for nuclear power, the feed-in tariffs would take the form instead of a complex system known as “contracts for difference”. Under this arrangement, the government allows energy companies to sign long-term contracts, which would prioritise the purchasing of low-carbon power, though would not necessarily offer much of a premium compared with the standard electricity price. The attraction is that the long-term certainty these contracts provide makes it easier for investors to plan. These contracts – details of which will be set out later this year, to come into force from 2014 – have not been used in the UK before, and some energy experts are concerned that their complexity will make them difficult to work in practice, or that they may distort the market unfairly and result in higher bills. Two-thirds of the UK public are in favour of wind power according to a new poll, published on the same day as a national anti-wind campaign launches in parliament. Overall, 66% of Britons were in favour and just 8% against when asked: “to what extent are you in favour of or opposed to the use of wind power in the UK” in the Ipsos Mori poll, commissioned by wind trade body RenewableUK. The figures show a slightly higher enthusiasm for wind power than a Guardian poll in March, which revealed 60% of people were in favour of wind. The discrepancy could be partly explained by the framing of the questions, with the Guardian research asking if people were in favour of windfarms near their homes. A spokesman said the poll was a direct response to the launch today of National Opposition to Windfarms (Now), that opposes the building of any wind turbines in the UK. “I hope Now will be instrumental in preventing the industrialisation of our best landscapes by campaigning in a united and organised fashion,” said Lord Carlile, who sits on Now’s steering and is sponsoring its launch. The poll findings follow a tumultuous few months for wind power, as leaders of turbine makers warned that doubts over the government’s commitment to wind was threatening billions of pounds of investment, and 101 Tory MPs wrote to the prime minister asking him to cut subsidies for onshore windfarms. Greetings from the new SCANS CND blog! 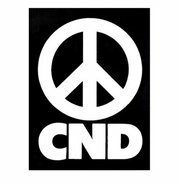 Welcome to the wordpress site of South Cheshire and North Staffordshire CND. We have decided to start a blog to keep you up-to-date, so please check back regularly or subscribe to find out the latest SCANS CND news and events. And do feel free to give us feedback on the new site and let us know of any local events that we can publicise or support.